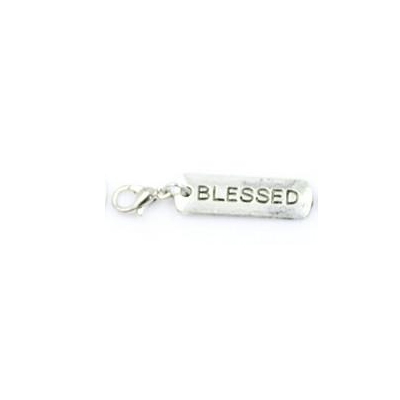 This metal "BLESSED" charm is perfect to show the love in your heart. The blessed charm has black filled, engraved writing. The charm is 0.82" long and comes with a lobster clasp for secure attachment.